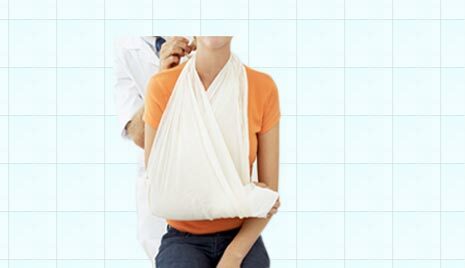 Disability Insurance, Accident Insurance or Sickness insurance. Call today for Insurance quote. What would happen if your paycheck stopped because of an accident? Your most important asset is not your home, your car, your jewelry or other possessions.It’s your ability to earn a living. Think about it: All of your plans for the future-from buying a home to putting your kids through college to building a retirement nest egg-are based on the assumption you will continue to earn a paycheck until you retire. But what would happen if those paychecks stopped? That’s where Disability, Sickness or Accident Insurance comes in. It provides an income to you and your family if you are unable to work because of illness or injury. Your income is typically your largest asset.Think about how much you earn in a year and what that would be over a lifetime. The financial consequences of a lengthy disability could literally cost you millions. A 25-year-old worker who makes $50,000 a year and suffers a permanent disability could lose $3.8 million in future earnings. You don’t hesitate to insure your home, car and other valuable possessions, so why wouldn’t you insure something that is much more valuable than all those things? If you’re still not convinced that your income is worth insuring, think about how long you’d last without your paycheck before it would be difficult to pay for everyday expenses. The LIFE Foundation conducted a study that found that 70 percent of working Americans couldn’t make it one month before financial difficulties would set in. More than one in four Americans wouldn’t make it a week. In the event of a disabling illness or injury-and the odds are much greater than you might realize-disability insurance, sickness insurance, or accident insurance provides you and your family with a source of replacement income to help make ends meet until you’re able to return to work. Explore this section to learn more about disability, sickness or accident coverage, including the different sources of disability income protection and ways to get coverage.The Disability Insurance, Sickness Insurance or Accident Insurance Needs Calculator can help you determine how much coverage you need. Who Needs Disability Insurance, Sickness Insurance or Accident Insurance? Simply put, if you have a job, you most likely need disability insurance, sickness or accident insurance. The possibility of a disabling illness or injury may seem remote, but statistics paint a different picture. Nearly one in three women can expect to suffer a disability that keeps them out of work for 90 days or longer at some point during their working years. For men, the odds are about one in four. And one worker in seven can expect to be disabled for five or more years before retirement. For many, a sudden interruption of income could have serious financial consequences. Most of us have some kind of personal debt, typically a mortgage or credit card bills. Would you be able to maintain your standard of living if you were too ill or injured to work for an extended length of time? Half of all home foreclosures in the United States result from disability, as do an alarming number of personal bankruptcies. The other thing to keep in mind is that an accident or illness that keeps you out of work for a period of time can be very costly. That’s because people who become disabled not only need to continue providing for loved ones, but for themselves as well. A disabling injury or illness could lead to medical bills, modifications to your car or home, or other unforeseen needs that can be quite expensive. For all these reasons, almost anyone who works-whether they’re single, married, with children or without-should consider disability insurance, accident insurance or sickness insurance. If you have questions that are not addressed on our website, call Washington and Co Insurance Agency in Cleveland Ohio (216) 691-9227 or fill out form and submit the form to get instant quote on Disability Insurance, Accident Insurance or Sickness Insurance needs.